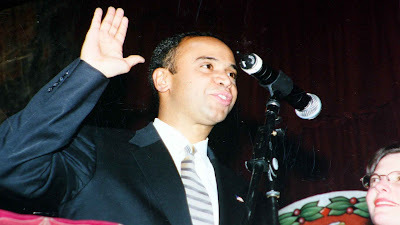 Bob Kappstatter reports that, after many weeks of speculation, the White House will announce today that President Obama is appointing Bronx Borough President Adolfo Carrion to head the new White House Office on Urban Policy. The Norwood News, which hits the streets tomorrow, will have an article gauging Bronx advocates' and activists' opinion of Carrion's 7-year tenure. We'll link to that and an editorial about the matter as soon as they're on-line. So, now the campaign begins. Read this post for a look at how the special election for a new BP will unfold.